Happy St. Patrick’s Day! 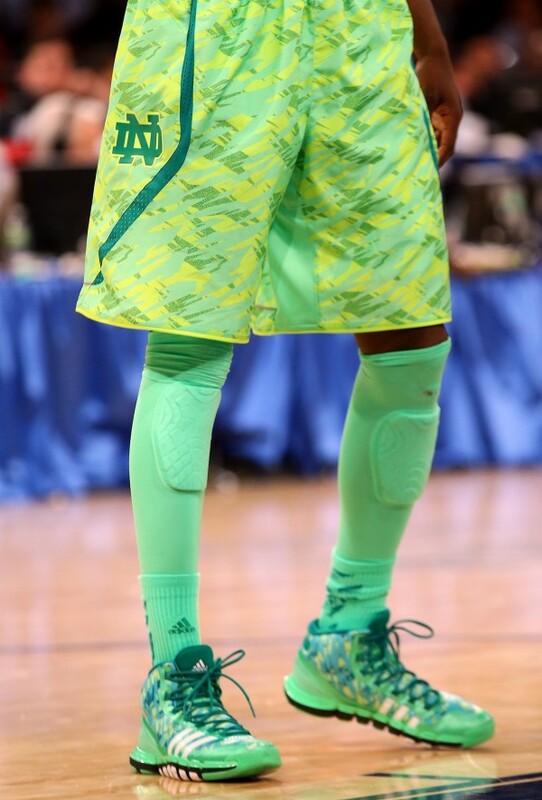 Lots of reasons to celebrate…the Luck of the Irish (but what about those Notre Dame basketball uniforms? ), Spring Break, the NCAA Basketball Tournament and much more. And, lets not forget, the NCAA Wrestling Championships – huge here in Des Moines, being hosted at our own Wells Fargo Arena this week. March Madness, I believe its called. All this can mean only one thing: Spring is just around the corner! Just like the green beer we’re going to drink today (and/or we drank yesterday), our outdoor landscape will soon be turning green, too. And with that, lets move it outdoors! More time on our Des Moines-area decks, patios and porches. More time around our outdoor kitchens and dining areas enjoying cool drinks and grilled food with family, friends and neighbors. More late late-night relaxation by the firepit or fireplace. The phrase “less is more” does not apply to outdoor living. 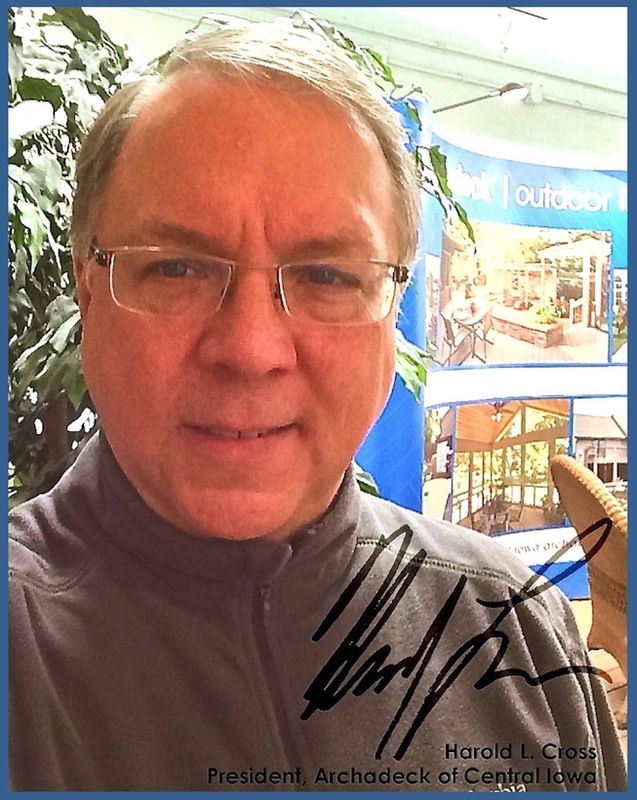 I was first reminded of that several years ago, early in my Archadeck career, when a client whom I was working with on a deck/porch project design said to me “Think Big, Harold.” Beth’s comments still ring in my head, today – it is a big outdoors! TimberTech now offers 22 colors of deck boards across their Twin Finish (wood-plastic composite), XLM (PVC) and Earthwood Evolutions (capped-composite) decking lines. Their more recent additions include Silver Maple (in their new Evolutions Natural line) and Brick, Slate and Brownstone (in their Evolutions line). You can now choose to pair their decking with 11 different colors of railing across their various railing styles; more recent colors include Brick and Antique White. Trex – particularly in their Transcends capped composite decking line (which is our primary Trex recommendation) – continues to have what I, personally, consider to be the best names (and colors…and style) for deck boards and railing. Trex Transcends is now offered in 8 different colors with Tree House and Tiki Torch being their newest additions. Trex’s Transcends Railing comes in these same colors, plus black and white. Belgard Hardscapes offers pavers and wall stones in a myriad of colors and styles for your patio spaces. The colors and styles offered are regional in nature with pavers because of the differing sediment colors and tones across the country (i.e, black dirt in the Midwest; red clay in the Southeast). My latest product/color matrix chart for our Des Moines-area Belgard options showed 11 different paver products in 18 different colors. Not all products are offered in all colors…but still. And, keep in mind that a “color” in pavers means a blend of colors, not a solid color. Lastly, if colored concrete or stamped concrete patios are more to your liking, my current color chart shows 24 different color additives for concrete. Enough color choices to match the “big-ness” of the great outdoors. Enough to make your head spin…like green beer the day after St. Patrick’s Day. 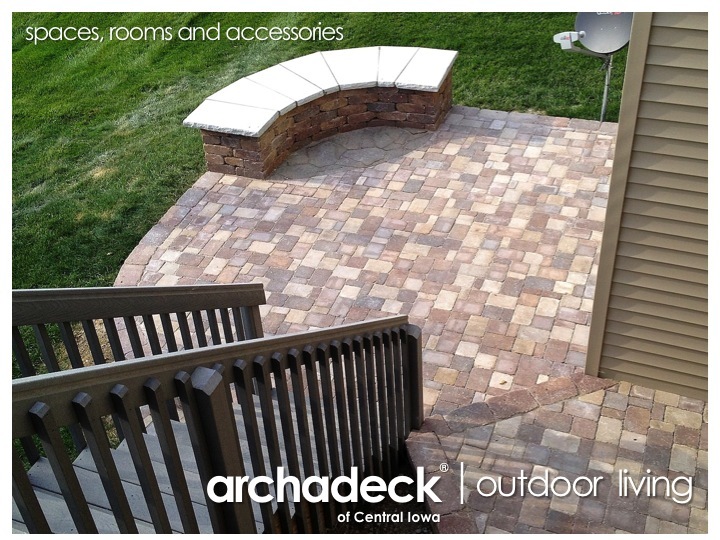 But also, enough to make your neighbors green with envy when they see your stunning outdoor living space by Archadeck of Central Iowa. 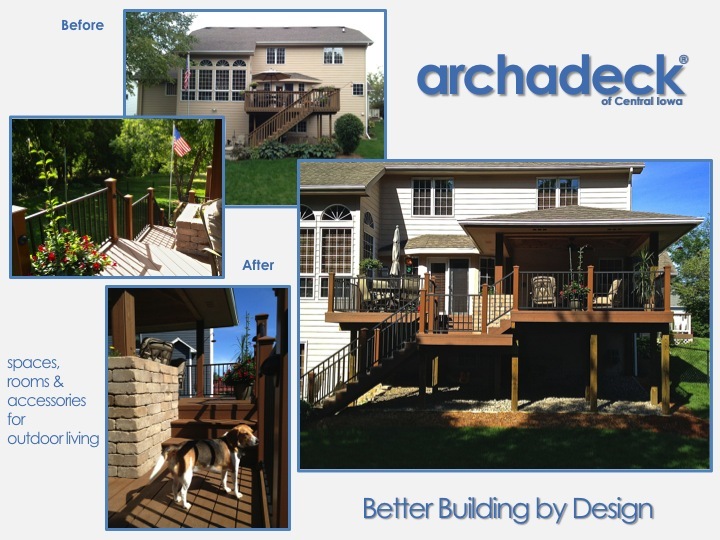 We are uniquely positioned and qualified in the Des Moines market to help you thru all the design decisions related to your deck, patio and porch projects – from function, size, layout, colors and value. Our design process can show your outdoor spaces and structures as they look on your home thru near-photo-realistic 3D renderings. 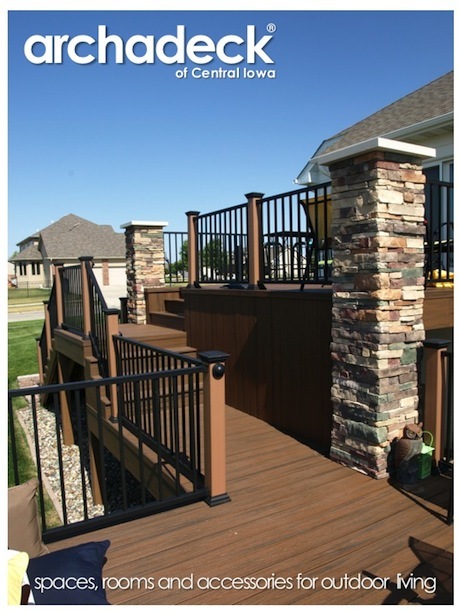 In our Urbandale showroom, we’ve got a wide assortment of decking, railing and patio products and colors in various display forms to see, touch and even walk on. Our design process eases you through the selection process and gives you the security of knowing what you’re going to get before you get it. And then we make it happen. And guarantee it will happen. Archadeck | Outdoor Living. Better Building by Design. PS – Our Dream Backyard Makeover Contest runs thru April 22nd. If you haven’t checked that out yet – or submitted your backyard entry – you’ve still got time. Visit our Facebook page for details. Good Luck! 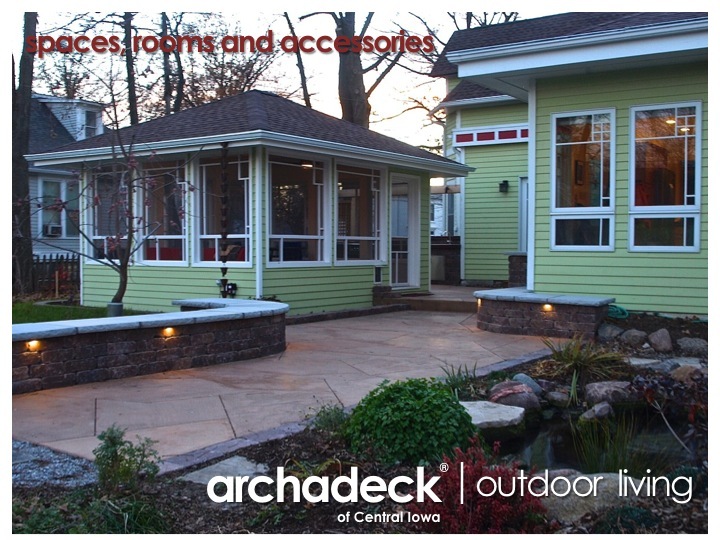 Big Outdoor Living News: Porch and Patio Awards, Des Moines Home Show and…??? Big news coming this weekend. Big as the great outdoors. 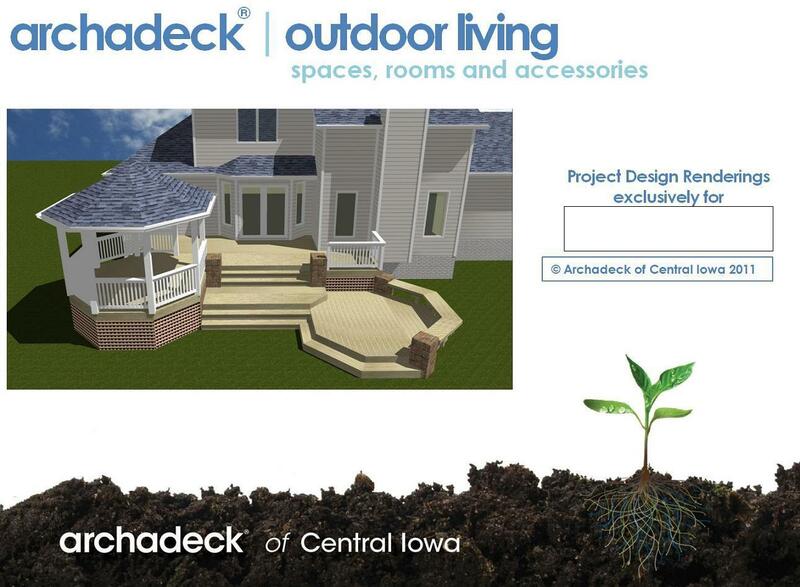 No, its not news that Archadeck of Central Iowa won two design awards at our recently-completed annual meeting. But, we did…and thats pretty big, too. First Place for Combination projects; in this case a screen porch, patio and outdoor kitchen project in Grinnell, east of Des Moines. We’re called Archadeck of Central Iowa for a reason. 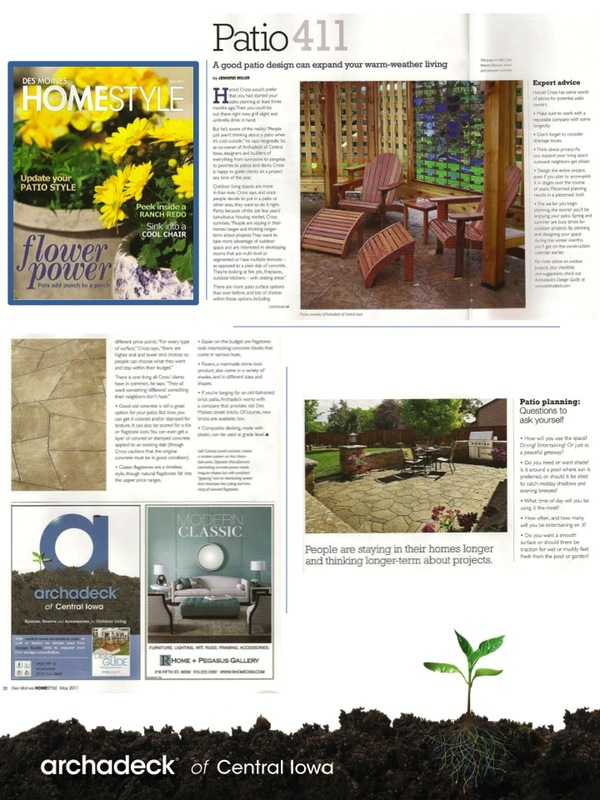 Third Place for Patio / Hardscaping projects; for a patio project in Johnston. Closer to home in Des Moines. These acknowledgements are big and humbling at the same time; we’ve got some great professionals in the Archadeck system. Competition is fierce; bribes have been attempted…but not accepted. Just kidding (sorta). No, its not news that I will be on Sherry Failor’s Welcome Home Des Moines radio show this Saturday. But, I will…and thats pretty big, too. 1040 WHO AM on your radio dial, noon to 1pm. We’ll be talking decks, porches, patios and more…including, the big news! No, its not that the Des Moines Home & Garden Show- The Big one! – is coming up next week. Starting Thursday, February 7th, running thru Sunday the 10th. 15th year running for Archadeck at the show. You’ll find us in the lobby on the east side of Hy-Vee Hall. Make us your first stop! Or last. Or both. And be sure to ask us about the big news. Here we are, putting another year behind us and setting our sights on the next. Goodbye Twenty-Twelve. Hello Twenty-Thirteen. 2012 was a very good year for Archadeck of Central Iowa. Record-setting, even. Central Iowans are truly embracing our trusted and time-proven approach to custom designing and building outdoor living spaces, rooms and accessories. Many backyards around Des Moines were adorned with our decks, porches, patios, pergolas, outdoor kitchens and more…even a basketball court! 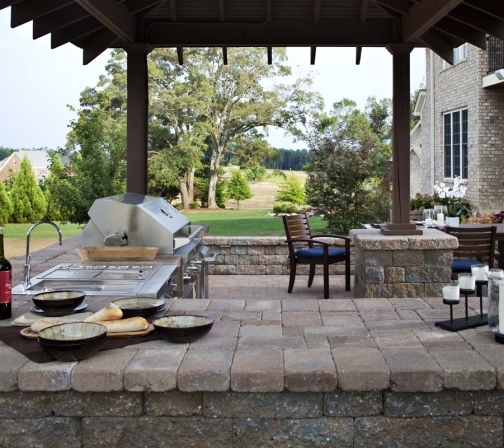 Multi-functional, combination spaces with amenities like fireplaces, firepits and lighting are driving growth in the value and popularity of outdoor living. 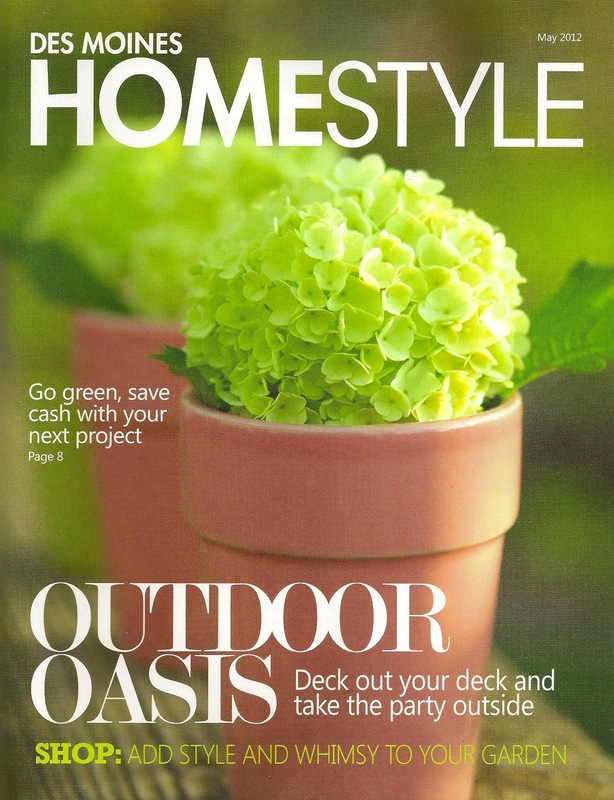 Do It Yourself Magazine, a Better Homes and Gardens special publication used a West Des Moines composite deck project of ours as a backdrop for a feature article coming later this Spring; stay tuned for newsstand availability information. Welcome Home Des Moines, a locally-produced magazine, is featuring an Urbandale deck and patio project, complete with a firepit and outdoor kitchen, in their January/February 2013 issue; find it online, in your mailbox (if you subscribe) and in fine establishments around Des Moines in January. dsm Magazine, another locally-produced magazine, asked us to participate in a “Superior Interiors” feature that will run in their Feb/Mar/April 2013 issue. Interiors? Archadeck? Aren’t we a “Superiors Exteriors” business? 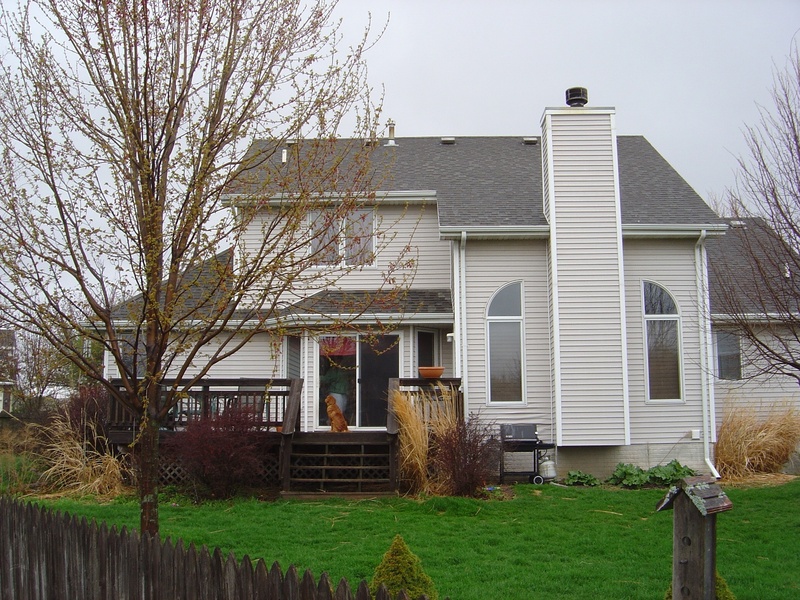 Well, yes, but the Urbandale screen porch project we’re featuring there will explain it all. Look for that in late January as well. We will again be displaying at the Des Moines Home & Garden Show (February 7th – 10th, 2013; Iowa Events Center/Hy-Vee Hall) and at the Home Builders Association Home & Remodeling Show (March 8 – 10, 2013; Iowa State Fairgrounds/Varied Industries Building). But, you don’t have to wait to see us at a Home Show. In fact, if you’ve got a pre-Summer “deadline” (maybe needing a deck or porch or patio for a graduation party or wedding? ), I’d highly (highly!) encourage you to not wait. We have a number of 2012 clients who have already approached us about “phase 2” planning (“phasing” projects is also becoming more common; for example, doing a room/porch one year and a patio the next). We also have a queue of several proposals from late 2012 under consideration with January decision timeframes (some with those aforementioned deadlines). With demand and popularity come higher prices, particularly with the building materials that go into our projects. But on top of that, re-building efforts from massive and devastating storms like Hurricane Sandy and the Joplin tornado further stress supply and demand resources. Construction industry watchers are forecasting 3% – 8% increases in building material prices over the coming years (source: Ken Simonson, Chief Economist AGC of America, 9/21/12) . The last few years have made providers lean, so absorbing these costs will be difficult for us. Which I know makes purchasing decisions more difficult for you. But it doesn’t have to be all bad news. Done right – better building by design – does add value. And again, if you can catch us early you might beat some of these price increases. There were some interesting partnerships and acquisitions within those suppliers last year and we’re looking forward to some exciting enhancements in their product lines as a result. Azek acquired the TimberTech business last year. What that means going forward is yet to be totally realized; for the time being the brands and products are being maintained independently. I would anticipate some very positive outcomes from this in regards to new and improved product offerings in the near future. From TimberTech Direct, Radiance Rail with Feeney’s Cable Rail, new in 2013. One precursor to what may be ahead with the Azek/TimberTech deal may be seen in the partnership TimberTech and Feeney Architectural Products developed to integrate Feeney’s Cable Rail system into TimberTech’s new Radiance Rail systems. Locally, I am also working to forge a stronger relationship with Trex. 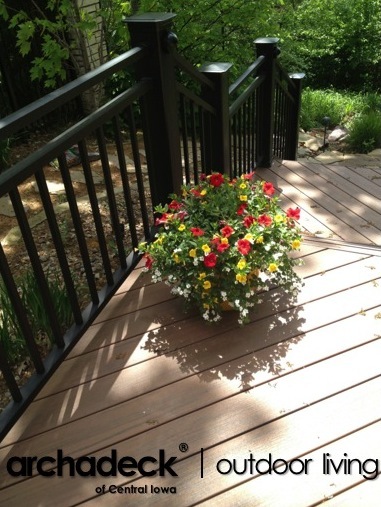 We’ve become a big fan of Trex’s Transcends decking and railing products. In fact, we just finished a Trex Transcends front porch project in West Des Moines a couple of weeks ago. Trex’s RainEscape product is becoming our under-decking drainage system of choice as well. 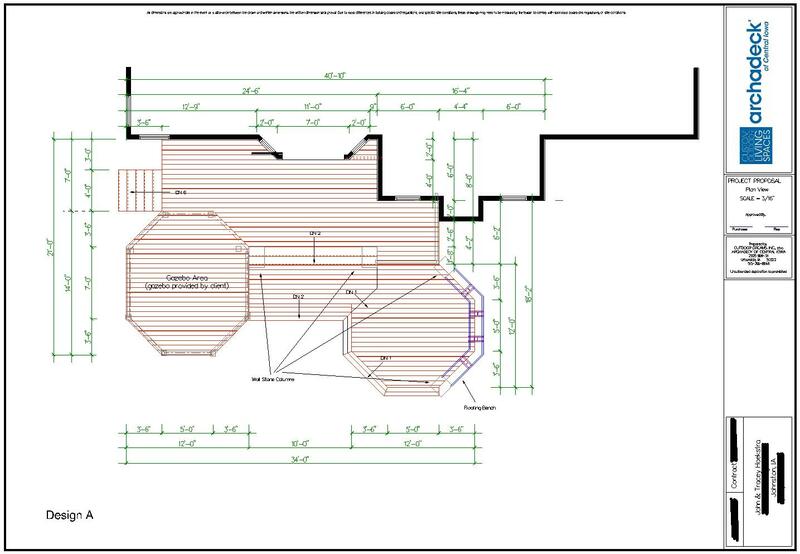 Several recent Des Moines-area Trex deck projects are lined up for review and I have paperwork completed and ready to be submitted…for what will soon make us the first TrexPro contractor in the Des Moines area. We are excited to attain this level of local support with Trex, the number one decking/railing manufacturer in the country. Stay tuned for more details on this relationship. Vendors working together make it better for all of us downstream. And with the relationships Archadeck has forged with these major suppliers, it makes it even better when you work with Archadeck. The direct support we get from these relationships helps all of us, both before and after an outdoor living space project is designed, sold and constructed. The annual Archadeck workshop, held in conjunction with the other brands in our Outdoor Living Brands, Inc. family will be coming up in late January. It’s a nice time to re-connect and network with our colleagues around the country and learn from those shared experiences. In addition, we’ll be introduced to new business strategies from our franchise advisory groups. 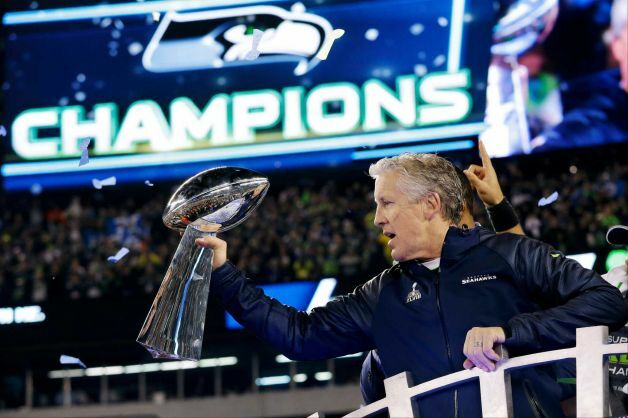 I always come away from these meetings re-energized for a new season and am looking forward to this again. A few blog posts back, I mentioned plans to expand our offerings of project pictures beyond what we have on our web site and Facebook photo galleries to include Pinterest and Photosynth. Those plans are…aside from adding some pins to my personal Pinterest site and adding a couple of panoramic “synths” to our Photosynth site…still in the planning phase. But, I am committed to integrating these further into our web presence over the coming weeks. So, look for announcements on these in the near future. Our online themes (across our web site, Facebook page, etc.) for the past few weeks has been a seasonal wish for “Merry Outdoor Living in the Happy New Year!” Beyond that, thank you for your readership here and your support of Archadeck of Central Iowa. And, if you need to improve your merry-making capabilities in your Central Iowa outdoor living space in 2013 – or beyond, we look forward to hearing from you soon. Feel free to download our complimentary Design Guide, contact us via our web site and/or give us a call. Best wishes for a Happy and Prosperous 2013! This one is a keeper. No, I don’t mean this blog article. Nor do I mean any of the recent outdoor living projects we’ve completed here in the Des Moines area. While we’ve certainly been exceptionally busy since Fall with the mild Winter and Spring – allowing us to build some very nice deck, porch and patio projects, our clients think those are all keepers, though. What I am referring to is the May, 2012, edition of the Des Moines Register’s Homestyle magazine that just hit the streets. It’s a keeper because from what I, as an advertiser in that publication, have been told, it’s the last Homestyle magazine we’re ever going to see. At least on paper…in its current form. Des Moines Register President and Publisher Laura Hollingsworth’s announcements of April 13th and May 6th put some background to this change…and others on the horizon. Over the years, Homestyle has been a great resource for Archadeck of Central Iowa as a tool to promote our presence – our design and build services – in the Des Moines and Central Iowa region. Occasionally, the Register and Homestyle publishers would be kind enough to feature us in stories and articles in the magazine. Homestyle’s quality and professional production served us – and like-minded businesses – well over the years. I know this because I know it served a lot of you well, too. Countless people I’ve talked to over the 9 years I’ve been involved in this business of designing and building outdoor living spaces have mentioned seeing our ads and stories in the Homestyle magazine. Whether you were looking for an outdoor kitchen or an indoor kitchen, an outdoor living room or an indoor living room, a patio or a pad, a ceiling fan for your bedroom or for your screen porch, Homestyle was a resource Des Moines relied on for ideas and inspiration. Homestyle also provided you a way to find products and businesses to bring those ideas and inspiration to life. Often on the vivid pages of the magazine itself. But in a bittersweet end, those pages will be no more. Its sad to see Homestyle go, yet I certainly understand. More and more of you now find us – and nearly everything else – via the internet today. And, to be honest, its more effective – cost-wise, reach-wise, message-wise – for us to be found on the internet. Video killed the radio star. And Microsoft, Google and Apple killed the print star. I am one of those conflicted sorts who sees himself as both a technologist (a 29-year career in that field) and a traditionalist (I’m a born-and-raised Iowan, southern at that). I often have both the Des Moines Register paper (paper!) and my iPad at the breakfast table in the morning. I like to buy hardcopy books to have on a bedside table or library shelf, but I prefer to read them on iBooks on my iPad. I actively promote wood-alternative material when it comes to decking and railing products, yet I believe nothing compares to the natural beauty of real wood (when its cleaned, sealed and nicely stained). So, maybe I’m wired to adapt to the change of not having Homestyle delivered to folks doorsteps once a month to whatever the “next step” is in the evolution of the Des Moines Register and its spin-off publications. Maybe. I’ll miss the traditional ways and the traditional contributors and I will support these as long as they exist and work for us. So, you’ll still find our ads in the Des Moines Register and in Sherry Failor’s Welcome Home Des Moines magazine (another fine, traditional print publication). But, I’ll support the evolution, too. Technology advances demand it. And, quite frankly, so do you…we. With every smart phone, tablet computer and low-maintenance, wood-alternative deck we buy, its one more vote for…change….progress…evolution. But, its kinda like the saying about not liking to have birthdays the older you get: consider the alternative. So, in those terms, it sounds like the Des Moines Register is about to have one of those “major” birthdays. And we’re all invited to the party. As for Archadeck of Central Iowa, professionally, and me, personally, we’ll be there because we prefer parties to the alternative. Especially, parties on the patio! Thank you to The Des Moines Register and, specifically, the Homestyle production team for your contributions to Des Moines homeowners’ lifestyles through that forum over the years. Thanks also for your support of Archadeck and like-minded businesses that operate in that arena; we look forward to that continued support in the next evolution of the Register. Finally, thank you for the “Outdoor Oasis – Deck out your deck and take the party outside” nod. Subliminal or not, it’s a keeper. 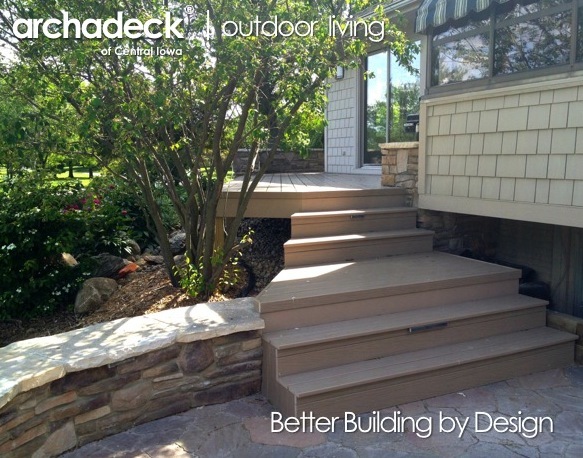 When Tracy and John Hoekstra of Johnston, a northwest suburb of Des Moines, contacted us for a complimentary design consultation for their deck and gazebo project, they already had a good idea of what they wanted for their new outdoor living spaces. In fact, they already had a gazebo! Sorta. When I met with Tracy over their dining room table, she pulled out her own to-scale plan drawing…and her ruler, her pencil and her eraser. We proceeded to discuss their ideas for incorporating the gazebo kit they had purchased from a Pennsylvania-based, Amish gazebo supplier onto new deck space. In those discussions, it was clear to me Tracy and John had put considerable time and thought into their backyard plan. So clear, in fact, I wondered whether Archadeck of Central Iowa’s custom design-build services were really what the Hoekstra’s needed. They believed they could assemble the gazebo kit onto a deck structure built for the gazebo. They had a good design concept in place. But, the eraser, the pencil and the ruler were there for reasons, too. Tracy wasn’t convinced her design was “right,” so she was seeking professional help. Tracy desired multi-level, open, deck space, in addition to the screened gazebo and she envisioned separate grilling and seating areas. The aforementioned stairs and proximity to setback lines also conflicted with the vision. So, the question of how best to achieve this still remained with Tracy’s design. Coordination and management of the entire project took on new importance to the Hoekstras as the scope of the full project came to light. The desire to have it all look like it was designed and built together became important as well. 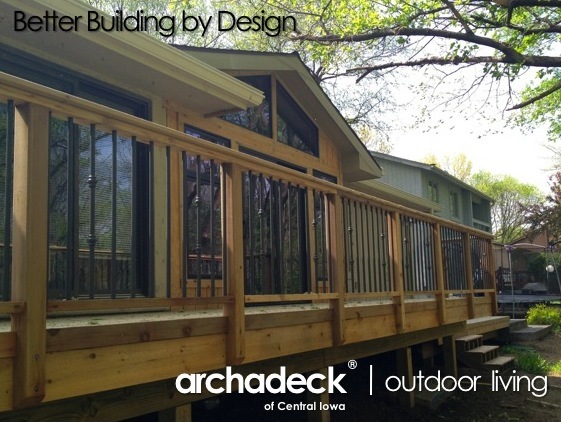 As our discussions progressed, it occurred to both Tracy and I that, indeed, Archadeck of Central Iowa’s custom design-build services, was exactly what the Hoekstra’s needed to bring their ideas to life. We agreed to enter into a design/build relationship to first complete a viable design and to then build it for them…including installation of the gazebo. 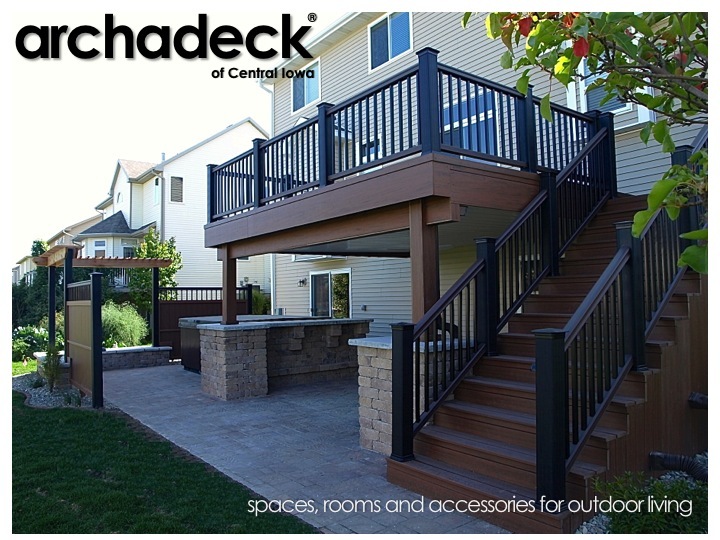 In other words, Archadeck’s standard, full turnkey solution to outdoor living spaces, rooms and accessories. For that first step…the ”by design” portion of the project, Tracy and I met at our Urbandale design studio to interactively finalize her design. As Tracy put it, we took her “jumble of ideas and developed them into a cohesive, workable, attractive whole.” All the while with Tracy looking over my shoulder. “Harold actively sought our input and combined it with his expertise to create a solution that was perfect for us and our space!” said Tracy. The resulting plan met the setback requirements of Hoektra’s property and was approved by the City of Johnston. And, it eliminated most of the railing in Tracy’s original design and achieved the open, multi-level space Tracy and John were looking for outside of their gazebo. Belgard Hardscaping wall stones were used to bring additional texture and color to the space in the form of planter columns incorporated into the design to “book-end” staircases, level changes and seating areas. Thanks, Tracy and John Hoekstra! Thanks for being open to using that eraser and for selecting Archadeck of Central Iowa as your pencil and ruler…and as your shovel, hammer and screwdriver.